The giant of South America will be firmly on the map from 12 June until 13 July, and yet again during the Olympics of 2016. Readers interested in the World Cup have presumably booked already, as the pressure on seats, beds and flights is now critical. Brazilian hotels are charging at least double those in South Africa in 2010, with the least room costing between 621 reais (£165) and 816 reais (£217). Flights from London look set to touch £1,000 – twice as much as normal bargains. A ticket for the 50-minute flight between Rio and São Paulo, whose planned rail-rink is delayed until at least next year, will probably cost 1,130 reais (£301) – with double that for other internal flights. Those for match-sites on the day are already sold out. 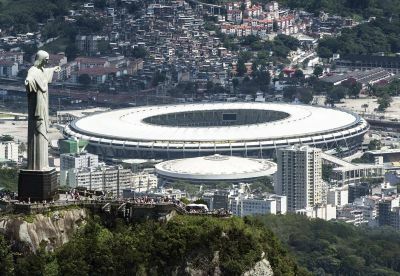 Although extra flights were supposedly allocated for an anticipated three million Brazilian fans and 600,000 foreign ones, aviation will see many cancellations or diversions to protect the airspace over stadiums during the 64 games in 12 cities. Moreover, Air France cannot land its A380 on Brazil’s longest runway at São Paulo-Guarulhos, as this is too narrow. For sea, sand and sun, you might just as well go to Portugal, not least because, despite an awful lot of coffee in Brazil, its 6% inflation means a cup now costs less in Lisbon than Rio. If still keen to explore Latin America’s most kaleidoscopic country, wait until the southern Spring or even go in 2015. Whenever you visit the world’s fifth largest nation by both area and population, it is a major adventure not without problems, including at least 11½ hours in the air from Europe. Getting around Brazil is also problematic – for example, the north-south flying time between Manaus and Belo Horizonte or Fortaleza and Porto Alegre is about four hours. There is an excellent network of inter-city buses for lack of trains, but they too will be overcrowded, and it is hard to avoid travel at night. It takes 18 hours from São Paulo to the southernmost city, Porto Alegre, overlooking a lagoon and skirted by vineyards, but wintry in mid-year. Buses go north in 11 hours to Curitiba which is equally European, just as affluent and nearly as cool, since it is the highest state capital. It also makes a convenient stopover halfway between Rio and the spectacular Iguassu waterfalls – 22 hours in all – especially as it is the greenest city in Latin America, with a scenic railway to the coast. Six hours away is sub-tropical São Paulo (England v Uruguay, 19 June), the southern hemisphere’s largest city and greatest financial centre. Dominated by skyscrapers, it has an excellent metro and 13 museums - plus Butantan snake-farm. It is an eight-hour ride between São Paulo and Belo Horizonte (England v Costa Rica, 24 June) which is famous for its zoological and mineral collections as well as the Tropa Serrana stables. There are easy excursions to hilly towns (not World Cup centres) like Ouro Preto whose colonial buildings went up during the stampede for precious metals and gem-stones. Belo is 10 hours overland from the federal capital, Brasilia. Artificially created in 1960, complete with lake, it is a block by block extravaganza of Oscar Niemeyer’s architecture. Westward of Brasilia, 881 kilometres away in the dead centre of South America, lies sweltering Cuiaba that was founded during a riverside gold-rush. Famous for Amerindian food, Cuiaba is the most remote World Cup site apart from equatorial Manaus (England vs Italy, 14 June) that even got an opera-house during the rubber-boom. Yet being in the Amazonian rainforest, amid a network of rivers, makes it hard to reach by road. The other venues are on the Atlantic coast, four being strung out along the tropical corner closest to Africa whose culture influences the entire north-east. Once occupied by the Dutch, the ports were developed by the Portuguese to trade in slaves and sugar. Fine beaches attract many tourists to Natal and also Fortaleza, while Recife is even more famous for its many bridges spanning three rivers. Salvador/Bahia boasts the most colonial architecture, as it got Brazil’s first bishopric besides being its capital from 1549 until replaced by Rio in 1763. Four Bahians out of 10 have African blood in what is Brazil’s third-largest city with one of the world’s top three beaches. Buses take 27 hours to go round Brazil’s north-east coast, and just as long to continue southward from Salvador to Rio where seven matches will include the final. Above the white beaches of Copacabana and Ipanema are Sugarloaf Mountain and the statue of Christ the Redeemer, reached by cable-car and rack-railway, while some tours have included townships (favelas) which now see daily shoot-outs between police and gangsters. Rio is still the world’s riskiest city for tourists, and predators of all kinds will watch for unwary males and females even on main streets and bus routes in broad daylight. 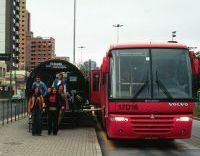 Typical was the robbery of 31 clients of Sussex Travel whose coach was rammed in the exclusive Flamengo district. Other cities are no longer as safe as previously, especially those in the poverty-stricken north. Always take extreme precautions in Brazil – beyond concealing watch and purse, wallet and passport, mobile and camera. Dress like the locals, learn some Portuguese phrases, and walk fast as if you know your way. Take the South American Handbook or Lonely Planet’s Brazil (wrapped in a Rio newspaper), but study beforehand the town-plans and sections on health and safety. Norman Bartlett’s words follow. He is clearly a fan of buses. Except in the Amazon Basin where it's either river or air travel, buses are the primary form of long-distance getting about for Brazilians. Bus services are generally excellent with strict timekeeping. Most buses are clean, comfortable and well-serviced Mercedes, Volvos and Scanias. All major cities are linked by frequent buses – in peak hours there is a bus every 15 minutes between Rio and São Paul – and there are a surprising number of long-distance buses. When I visited one of São Paulo's bus stations some years ago, I was staggered by the number of buses there and the frequency that they were coming and going. Every big city, and most small ones, has at least one main long-distance bus station, known as a rodoviária.